Spring Clean Your Face: An IMATS-Inspired Book List! One of the best ways to refresh your point of view is to refresh your look, and makeup can be an amazingly fun way to creatively change your appearance. While there are plenty of people who don’t like to wear makeup (which, totally cool), there are those of us who see it as a way to wear an empowered game-face to show the world. One of the biggest makeup events of the year, The International Makeup Artists Trade Show, comes to New York City the weekend of April 8, 2016. IMATS started in Los Angeles in 1997, but has expanded to be an international series of exclusive events where thousands of makeup artists, including Oscar-winners and red carpet makeup experts, gather to nerd out over cosmetics. In the spirit of celebrating one of the coolest ways to experiment with your presence and point of view, we created an IMATS-inspired book list, so you can spring clean your brain while you spring clean your face! Lisa Eldridge, the keynote speaker at IMATS New York 2016, is not just another YouTube beauty blogger. Eldridge is one of the best and most-respected makeup artists in the industry, and has worked with some of the biggest stars on the planet, like Kate Winslet, Emma Watson and Cara Delevingne. She’s a YouTube sensation for her informative and amazing tutorials, and her first book, Face Paint, is a celebration of the makeup history geekery she doesn’t eve try to hide in her videos. This seminal makeup book is penned by one of the best-known makeup artists in the business: the late, great Kevyn Aucoin. His name lives on in the form of a cutting-edge makeup brand, but his legacy truly lies in the three books he produced between 1994 and 2000. Making Faces, his most popular book, provides tips, tricks and looks from his illustrious career. This novel tells the story of Alex, a makeup artist for a big-time television celebrity, who has to correct a huge mistake to save her amazing job. While fictional, the novel provides a great, exciting story with a makeup artist protagonist you’ll want to root for. It really makes readers feel the hectic life of New York City makeup artists, and provides a romantic, flowing plot to boot. Want help unlocking your natural beauty? 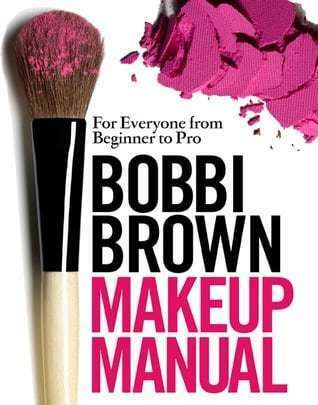 Look no further than Bobbi Brown’s Makeup Manual, where she shares her wisdom from her 30+ year career creating lovely, realistic beauty looks for superstars. She even takes the time to go over body skincare, outlining the step-by-step processes to create the most naturally beautiful you. Just the Right Book: 18 Books for Your March Reading Madness!